I ran into the store to grab some food for my kids and my eye caught a bright red heart that was for sale. It caught me by surprise, with Christmas just being over, and then I remembered Valentines Day! I love Valentines Day. With six daughters, love, romance, pink and candy is definitely something that our family goes all out for! Not everyone is wanting to add streamers and hearts to their kids doors, but even those who are a little less outrageous with their decorations can prepare for this special day. 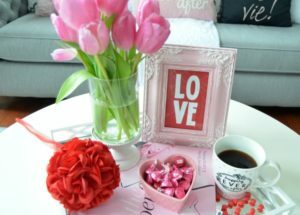 Here are seven simple ways to bring Valentines Day into your decor. When done properly, you may not want to take them down when February 14th is over. First, add a comfortable chair to your living room. Everyone should have one in their living room anyways, but if by chance you do not have one, this is the time to get one. 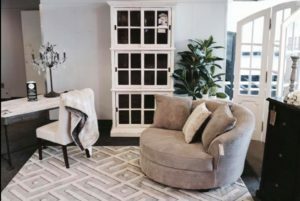 At Showhome Furniture our number one selling chair is our nest chair, and it is a perfect addition to any room. If you don’t have a comfy chair to cuddle up to and can’t get one at this time, don’t despair, our next suggestions do not require any such large purchases. If you do get our nest chair, remember to get our hassle free 5 year no hassle warranty. Also, remember to check out our facebook page regularly, as we love to give nest chairs away!! 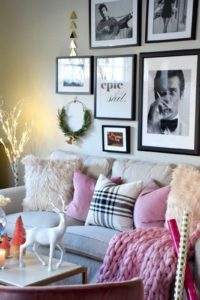 The easiest thing is to do to add love into you living room is to grab some pink, red or gold pillows for the couch. Be bold and go for the extra soft pillows, after all this is the season of love, laughter and cuddles. 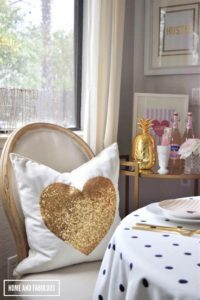 Remember, Valentine pillows do not have to be hearts. 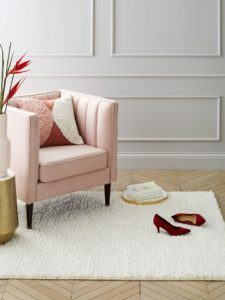 The idea is just to add a bit of pink or red into your existing decor. 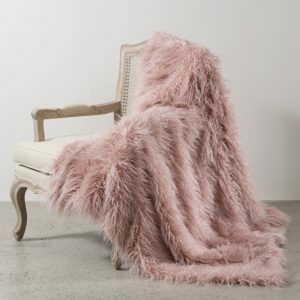 Next grab a soft luxurious blanket. 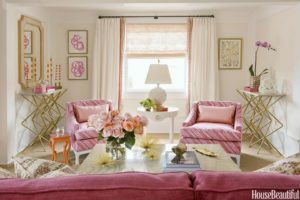 It doesn’t have to be bright pink if it doesn’t match your decor, go for something more subtle. Valentines Day is the perfect excuse to buy a delightful soft rug that you can use all year round. 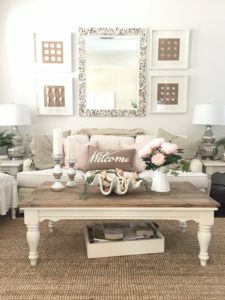 Once you have a few special pillows, a cozy blanket, a thick rug, it is time to bring in some flowers. Flowers are beautiful any time of the year, but sometimes we forget this. 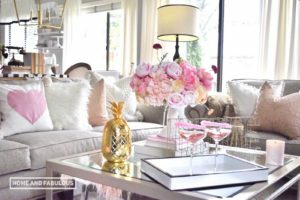 Our Showhome Furniture tip, buy the flowers a week before the big day since flower bought on Valentines day are going to be double the price come February 14th. The next tip for celebrating Valentines Day is something my kids LOVE!!! 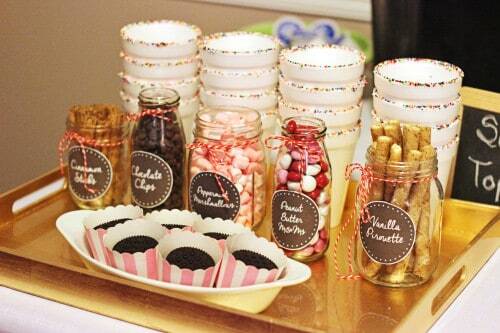 It is the Hot Cocoa Bar!!!!! 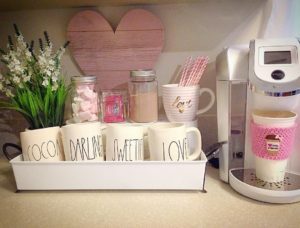 Who doesn’t love an excuse to make themselves a sweet drink, and there is something about sipping cocoa that makes us slow down and savor the moments, and after all that is what Valentines Day is really about, savoring the amazing people you love in your life. 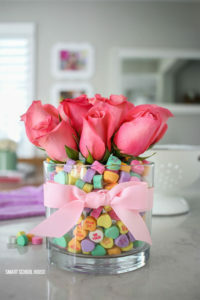 Lastly, add in some hearts and candy!!! What are your favorite ways of celebrating Valentines Day?